DNA is called the blueprint of life because it is the instruction manual to create, grow, function and reproduce life on Earth similar to a blueprint of a house. In 1869, Friederich Miescher discovered a substance called “nuclein”, managing to isolate the first known pure sample of the material. Later his student Richard Altmann would coin the term “nucleic acid”. Much later in 1953, James Watson and Francis Crick worked together to discover the structure of Deoxyribonucleic acid or DNA, establishing an understanding of its function and changing the science of biology forever. DNA is frequently referred to as “the blueprints for life”. Every organism that we know of depends upon proteins to live and DNA is the macromolecule that stores the information needed to create all the proteins needed for life. The proteins that DNA enables the encoding of come together to forms cells, tissues, and organs. Whatever it is that organizes those proteins together could be thought of as the blueprint for those structures. DNA is a double-stranded molecule, made up of two single chained molecules wrapping around one another. This is called a double helix structure, each strand of the helix consists of four different bases and the strands are connected to one another via a backbone consisting of sugar molecules. The four bases are adenine, cytosine, guanine, and thymine, usually abbreviated as just A, C, G, and T. The bases fit together into base pairs, with A matching with T and G matching with C.
Any order of these bases on a strand of DNA is referred to as a sequence, and each sequence is paired with the complementary sequence on the other strand. Therefore, a DNA sequence with CTAATCG would be matched with a sequence reading GATTAGC. 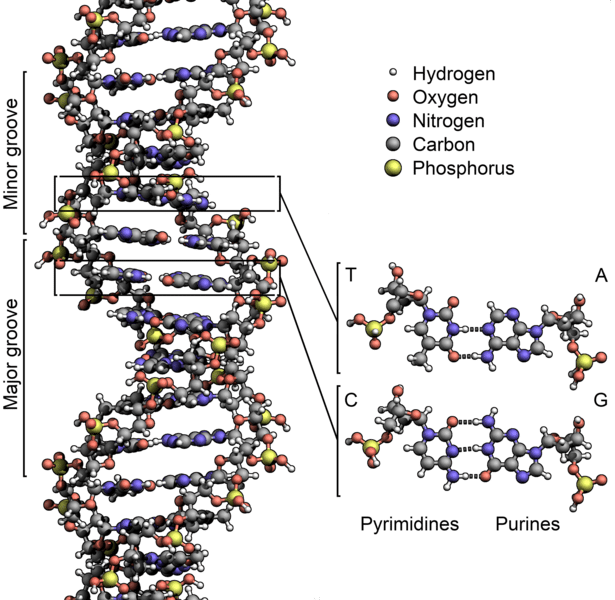 The base pairs of DNA are linked together and a molecule of DNA is tightly coiled around itself to protect the bases from interacting with other chemicals in the environment. However, considering DNA is supposed to be the blueprint for life, this fact makes reading the blueprint hard. The DNA strand has to be “unzipped” for a sequence of DNA to be read. This is done via a molecule called RNA Polymerase which splits the DNA apart at a single spot. The RNA Polymerase then “reads” the exposed bases and creates a long single strand of RNA. RNA uses the base uracil, U, instead of T, so A pairs with U in RNA. The RNA now has the data for life, the blueprint necessary to create proteins. When proteins are synthesized in this fashion the RNA that was constructed is referred to as messenger RNA or mRNA. The next portion of the construction of proteins is generally the same in all organisms, although it may vary just slightly organism to organism. Messenger RNA connects to ribosomes in the cell, which are structures that work like a protein factory. The sequence that the mRNA holds is transferred to the part of the ribosome where it is combined with amino acids. The creation of amino acids differs from the creation of strands of RNA. RNA is just a one-to-one translation of bases, whereas when creating proteins three bases of RNA are examined at a time and the corresponding three-base-sequences are specific amino acids which link up with each other to create proteins. In essence, the DNA sequences are transferred to the mRNA chain which gives the information needed to the ribosome which builds proteins. Every part of your body is handled through this system of protein construction, which is why DNA is so often called the blueprint for life. 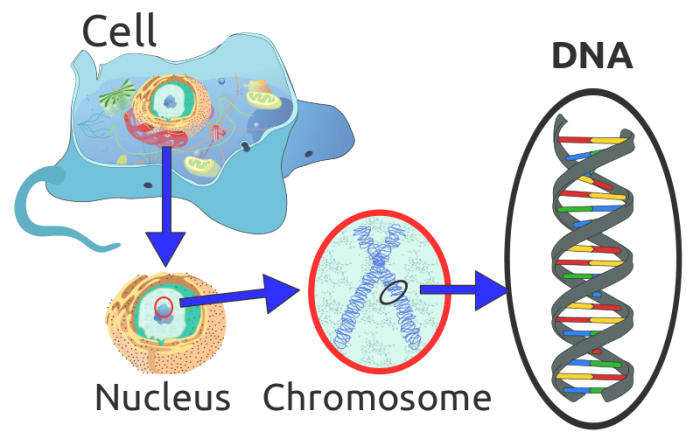 Given that RNA has the ability to carry genetic information through chemical bases as well, why is it DNA and not RNA that acts as the blueprint for life? Researchers have found that RNA can form a double helix as well. Does this mean that RNA could carry out the role of DNA? Not quite, because as it turns out adapting to a double helix form makes the RNA rigid and unable to accommodate nucleotide binding. 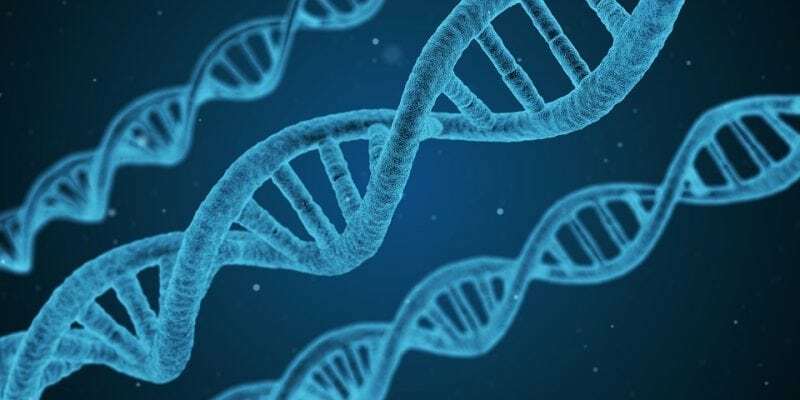 DNA actually undergoes a subtle change in structure when it comes into contact with other chemicals, like when it is bound by a protein or receives damage of some sort. After the chemical intrusion is dealt with, DNA then changes back into its recognizable double helix structure. DNA’s ability to transform like this, combined with its double-helix structure, is likely what is responsible for its ability to keep a genome stable. However, while researchers found that DNA was able to move in response to chemical intrusions, and thereby keep a genetic code intact, RNA strands simply came apart at the place they were altered by chemicals. So why is DNA able to morph in response to threats while RNA can’t? It’s believed that RNA’s double helix structure is one that is very compressed and that DNA’s relatively loose and uncompressed structure, by comparison, gives it greater flexibility and functionality. A Better Metaphor Than Blueprints? A better metaphor might be computer programs. DNA could be thought of as part of a large computer program, working together to carry out specific tasks. Some chunks of code are always running, while others run at only certain times or under certain conditions. The DNA is analogous to bits of code giving instructions to the larger system’s hardware. Metaphors and analogies shape the way we think, so there’s an argument to be made for having as accurate of a metaphor as we can. However we choose to refer to it, what cannot be denied is that without DNA’s miraculous structure the life we see all around us wouldn’t exist. Previous Post« Previous Why Do Blind People Wear Sunglasses?